The feel-good read of summer! Really enjoyed this book, the story was lovely and the description of Florence was beautiful. I would recommend this book to anyone. English teacher Debbie Waterson has had an obsession with Florence ever since missing out on a school trip to the city as a child. She often daydreams about the place, but has never visited, too scared that it won’t live up to her expectations. Whilst once again riding her bike and dreaming about basking in the Italian sun, a man steps out in front of her, knocking them both to the ground. Pierluigi, a doctor, apologies profusely and admits that it was his fault entirely. He offers to looks at her injuries, and then walks her home with her mangled bike. Debbie thinks the doctor is rather dishy, and falls for him at breakneck speed when she discovers he’s from Florence. He tells her she should go and visit the country as she won’t be disappointed. In the end she bites the bullet and goes. She is so taken aback with the city that when an offer of redundancy comes up at work she decides to go and work there, it’s now or never. This is the first book by T.A. Williams that I have read. I’ve admired his books for a long time, but with a huge TBR list I’ve never actually gotten around to reading one, until now. Open up the gorgeous cover and you will step into a delightful, heartwarming story which has been perfectly executed. The characters are a joy to spend time with, and that scenery is to die for. I’ve never been to Italy, but it felt like I was standing in the heart of Florence. T.A. 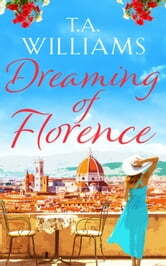 Williams has in essence written a ‘Guide to Florence’ hidden within a beautiful story. Not only do you get to visit the tourist areas, but he takes you to places off the beaten track and has you tasting divine food, and sipping delicious wines. At the centre of this book is a woman who took a chance on fulfilling her dream. Debbie for so long had wanted to follow her heart, but never had the courage. When the opportunity arose, and with a little push from her best friend, she took that chance. If this book teaches you one thing, it’s to stop putting off following your dream, start living it before it’s too late. I found this book to be a easy read and one for reading on holiday whilst enjoying a glass of wine and the sunshine. I enjoyed it and would recommend it to anyone. Absorbing, enchanting and beautifully written! Dreaming of Florence is a charming, romantic story about taking chances, overcoming challenges, developing new relationships, finding happiness, and falling in love. The prose is light and incredibly atmospheric. The story is warm, engaging and full of tender moments, dramatic events, humorous hijinks, betrayals, acts of kindness, self-discovery, and friendship. And the characterization is spot on with a cast of characters that are fresh, endearing, and quirky, and a setting, the City of Lilies, that is a character itself with its Renaissance architecture, lush landscape, and must-see monuments. 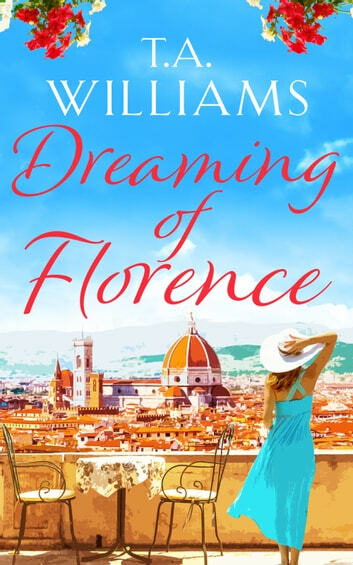 Overall, Dreaming of Florence is another sophisticated, sweet, entertaining tale by Williams that once again highlights his phenomenal ability to bring a city to life through his remarkable knowledge and passion for its food, culture, and history. As the story gets interesting you get drawn in and wish you were in Florence. Really enjoyable light reading. Romantic and hard to put down.